Friday, March 29, 2019 from 7:30 p.m. to 9:30 p.m.
Sunday, March 31, 2019 from 2:00 p.m. to 4:00 p.m. The Greater San Diego Chamber Orchestra, directed by USD Music faculty Dr. Angela Yeung, performs Rimsky-Korsakov’s "Scheherazade." 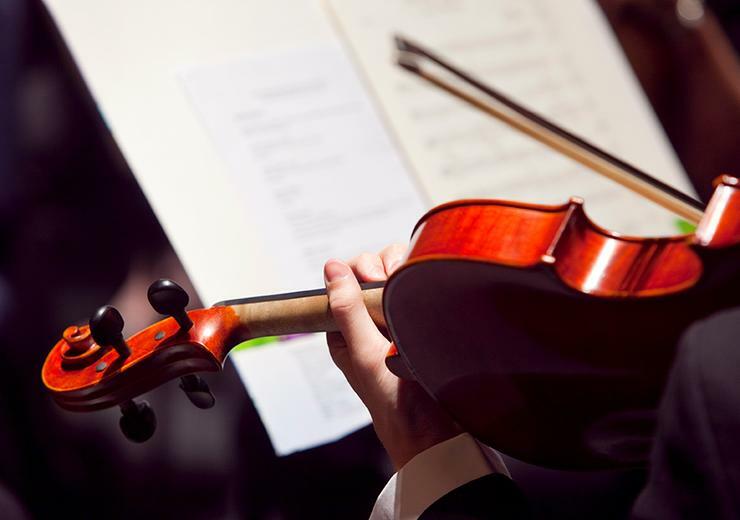 The concert also features winners of the 2019 Music Teachers Association of California Concerto Competition and two USD students: Daniel Campbell ('20), viola in Bruch's Romanze, and Elizabeth Tin-Maung ('20), violin in Monti's Czardas.